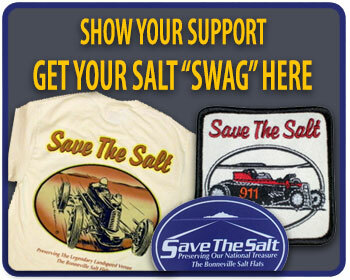 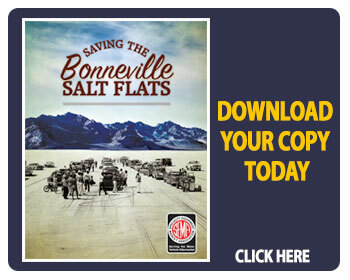 The American Association of Petroleum Geologists (AAPG) partnered with the nonprofit Save the Salt Foundation and the Utah Alliance, whose mission is to protect the Bonneville Salt Flats in Utah and to promote its history and motorsports legacy, the AAPG recognizes not only Bonneville’s irreplaceable beauty, but also its rare physical qualities which make it a destination for land speed racing, filmmaking, rocketeers, and tourists from all over the world. 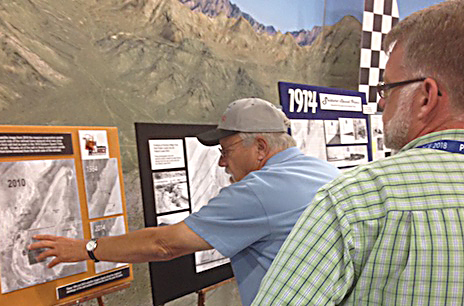 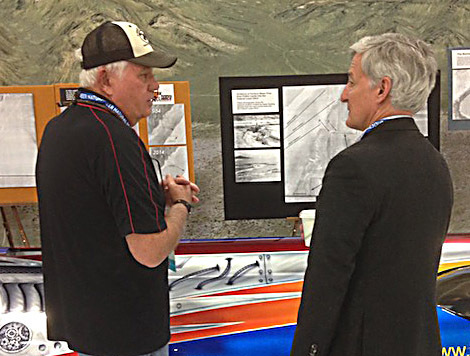 The Utah Geological Association hosted the AAPG 2018 Annual Convention & Exhibition (ACE) at the Salt Palace Convention Center in Salt Lake City, Utah May 20-23. 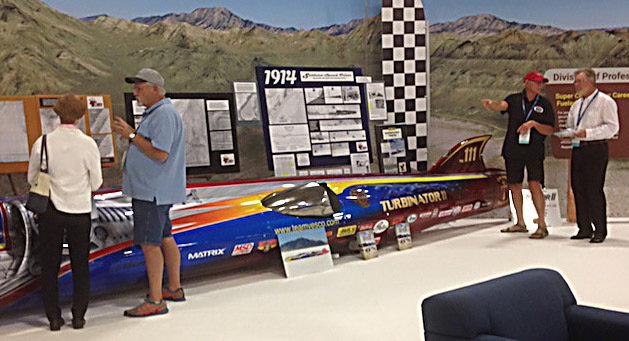 With more than 35,000 members, this century-old professional geological society asked Team Vesco to display its “Turbinator,” the world’s fastest wheel-driven automobile at 458MPH. 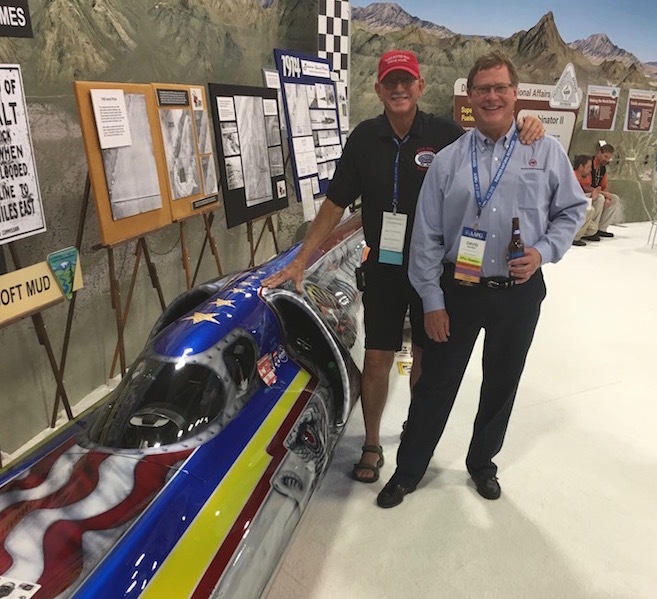 Left to Right – Save the Salt Board Member Larry Volk, Utah Alliance Chairman & USFRA President Dennis Sullivan, Car owner Rick Vesco and volunteer Ron Christensen were all on hand answering questions about the car, the salt, and the foundation. 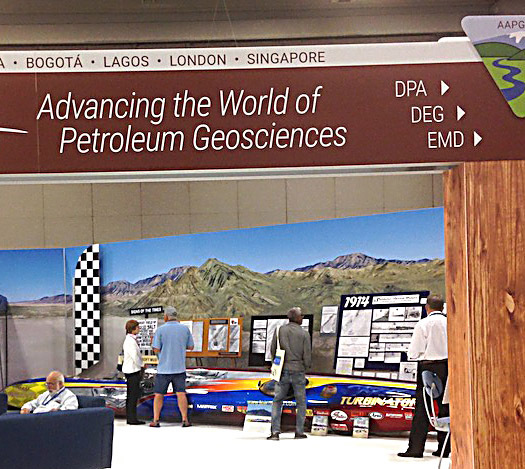 The event attracts nearly 7,000 global geo-science attendees from 78 countries.